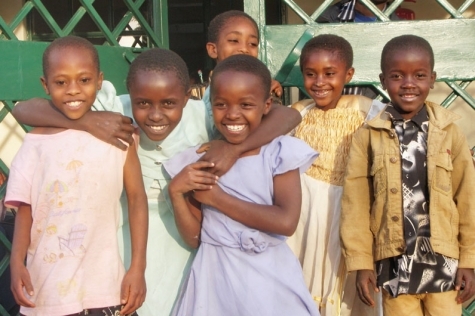 These are some of our beautiful children who live in Meru, Kenya at the Amani Home (peace, in Swahili). The home also sustains jobs for the house mothers, cooks, and gardeners. Cottage Industries also offer jewelry and weaving. The Amani Home is landscaped to be intirely edible. The fence is banana trees. There are tilapia ponds and gardens for food. The children learn to care for their own little garden and tend to the animals. For more information please go to www.ipeacei.org. International Peace Initiatives (IPI) is a global network of individuals and organizations seeking innovative and alternative means of overcoming the devastation of disease, conflict, and poverty in the world today. IPI accomplishes these initiatives through grassroots capacity building, community based research, and sharing information on successful practices in HIV/AIDS management, peacebuilding, and economic empowerment programs. IPI’s work in Africa uplifts the spirit and living standards of the people in their communities. Our tools are education, enterprise and empowerment. The organization's current focus is on women and youth groups that are involved in self help activities in Kenya. The aim is to develop working relationships with these groups so that through their own initiative and that of friends interested in supporting them, they are empowered to raise the quality of life of people challenged by HIV/AIDS, violence, and poverty. - We are a non-profit, non-governmental organization (NGO) with a 501 c 3 tax exempt status.